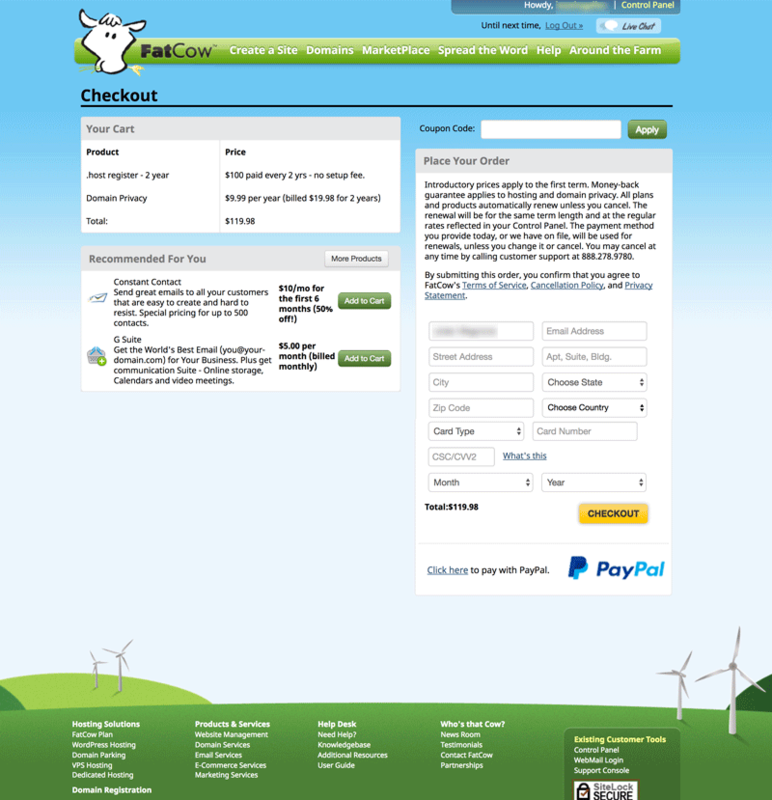 FatCow was founded in 1996 and is one of the oldest and most stable hosting companies out there. It offers shared-hosting, Web-marketing, and site-management tools for over thousands of customers around the world. The mission is to provide the best hosting tools and services and the entire team working at FatCow is committed to providing customers with outstanding support and uptime. They also offer innovative technologies, and a “no-worries” hosting environment. 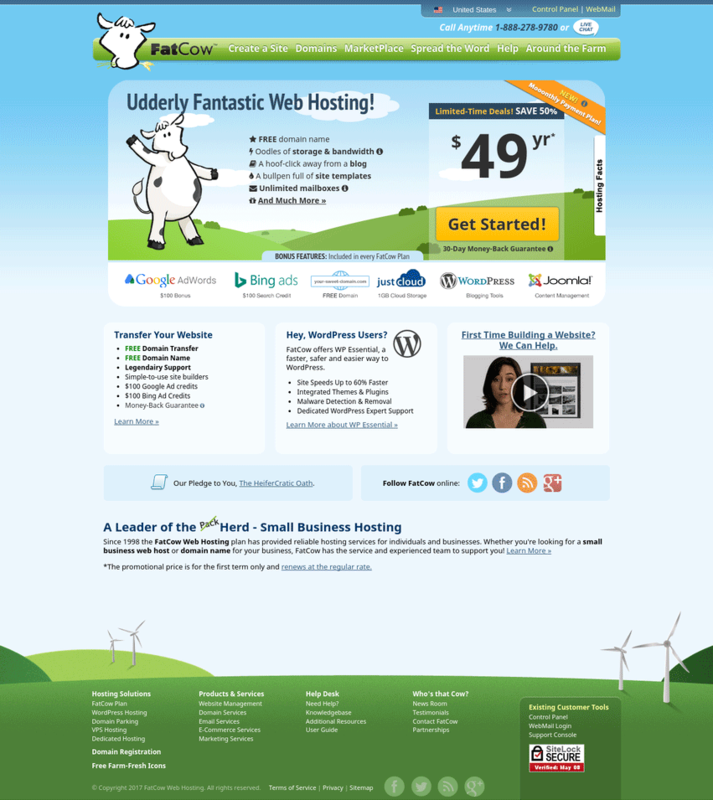 FatCow offers a stable, redundant hosting environment built on state-of-the-art technologies. At FatCow you can order a shared hosting as well as virtual private servers especially configured for you. Their VPS solutions are divided in three plans: Basic, Business and Optimum with prices ranging from 19.99/mo to 79.99/mo. The checkout is simple and straightforward. First, you need to pick a domain name to use. You can register a new name or transfer your own name. Then, choose the FatCow plan and billing period. You can also opt for a domain privacy option for just $9.99 per year. In the next step you can place the order by completing the billing detail, choose the payment method (it can be a major credit or debit card, or PayPal option is also available).